to create spaces to showcase diversity. The Boîte World Music Café – our yearly program of concerts – is the cornerstone of our efforts to support people who have recently arrived in Australia to feel at home and develop connections. Through these concerts, we introduce brilliant musicians playing fantastic music that often nobody here has ever heard before. To them and to the communities that they belong to, the confidence boost that ensues from being recognised and respected is a crucial element in developing a sense of belonging and settling the social and emotional turbulence of migration. After more than 5,000 concerts and workshops with artists born in over 100 countries before audiences of more than 800,000 and just as diverse, we have learned that it will take a few attempts to break the barriers because not everyone is ready to embrace what’s unfamiliar to them right away. So we cannot be guided by the box office. We are not a talent agency that takes on artists based on their profitability. We are committed to supporting the sounds of every community, small as it may be, because it is they – the latest to arrive, the least familiar – who need welcoming the most. So, for every ticket we sell, we need to find ways to subsidise two others in order to ensure that these musicians have opportunities to play, have space on the radio, on the web, in people’s busy lives. Often, we also need to keep mentoring and supporting them a little bit longer, before they are ready to stand on their own feet. In addition, The Boîte also channels music into the lives of children through the Schools Chorus Project, in several hubs across the State of Victoria. These massive choirs are designed to introduce children to the sounds of the world and provide them with an unforgettable opportunity to perform at grand venue. These experiences deliver, all at once, the power of music, the importance of diversity and the value of collaboration. With your support, we will bring people together and help them stay together; we will build bridges and form connections; we will help turn the unfamiliar into familiar, the alien into local, and we will ensure that children grow up to become human beings at their best. 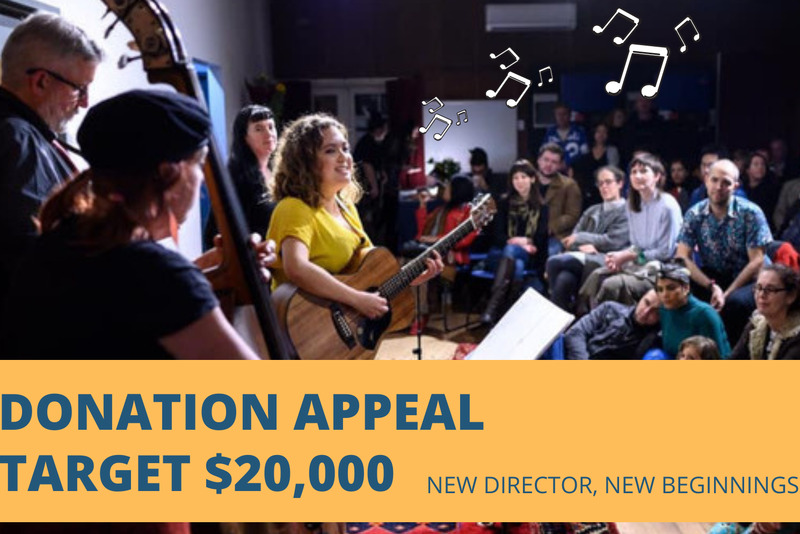 Make a tax-deductible donation to The Boîte and know that you have been part of a unique journey of creativity, empathy and identity building; that you have helped musicians establish themselves and generate a whirlwind of emotion; that you have helped break barriers, build bridges and form sustained connections; that you have helped bring harmony to your neighbourhood, your city and your country.